Forums » Discussions » Adventures with 'other' instruments... » Page » Wind Instruments???? I started out taking clarinet lessons at age 10, I was the only boy in the elementary/junior high orchestra. They combined the kids back then, I guess for a lack of players. In the late ‘70s early ‘80s, I started fooling around on the Hohner Marine Band harps (diatonic). 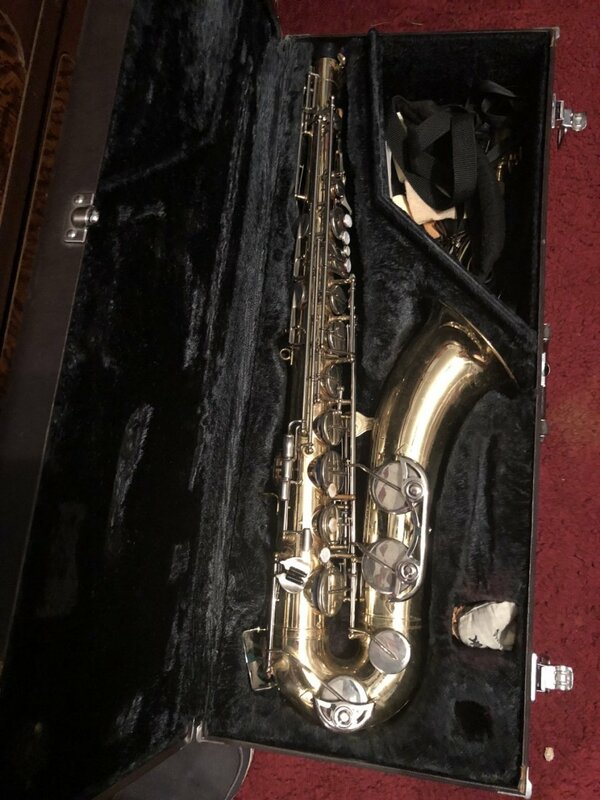 Fast forward to about 1997, I started taking tenor sax lessons for about almost 2 years. I also mess around with a recorder, pennywhistle, and ocarina. I still have all these instruments, and I occasionally indulge myself, especially on the clarinet. I love to play the blues on the clarinet, which is a genre that is typically not associated with the instrument. I am an incompetent diatonic Harmonica player. And a mediocre chromatic harmonica player. Neither offer the soft music of my dulcimers. Don, I had to laugh when I read what you wrote. Ha. You just described me. At least that's the way I feel sometimes. Hey, I don't play blues, only melody. On forums, this means I am less human. Kills me. Don't be so tough on yourself, I don't need company. I've also started making them myself. Not as pretty perhaps but they play just as well. I've made three so far from bamboo that is 3/4" but not 1" in diameter, with lengths from 5" to 10". The covers are made from joint ends of larger culms. I'll post some photos later. I have one crummy vid on my YouTube. Having trouble finding a way to make vids that aren't 50-80 Mb. The membrane is a 2x2 square of plastic grocery bag tied/glued over the ends and trimmed. I play a bit of pennywhistle, but mostly Mirliton. The Mirliton or Onion flute isn't really a wind instrument, it's a membranophone -- an ancestral kazoo more or less (but not as raucous or metallic sounding) from the 15th-17th century. Sounds good with the dulcimer actually. Ever since getting my teeth replaced with an upper plate, I more or less lost the ability to whistle well; which I used to enjoy doing along with a friend's band. The Mirliton lets me do almost all the complicated trills of whistling again. Same, John, in that, having a music education degree, I can supposedly play all of the band wind instruments, buuuuut.... I'm really a flute player. If I had access to the instrument and practice time, I have the foundational knowledge to pick any of them up. I also do a little on soprano, alto, and sopranino recorder (mine are all plastic Yamahas, acquired for the purpose of teaching elementary children). Would love to learn pennywhistle, but haven't bought one yet. I'm a weird (or lucky) duck on this topic. I'm an instrumental music education major, so I can technically play any orchestral brass, woodwind, or percussion instrument. Honesty compels me to report that I would only consider myself competent enough to perform in public on seven or possibly eight of the brass and woodwind instruments (but any of the percussion instruments...let's go) lol. I also do penny whistle and Native American flute. The cool thing is that new and wonderful challenges are still lurking around every corner. I've been blessed to do okay as a tuba major/percussion minor. Learning musical instruments is fun! 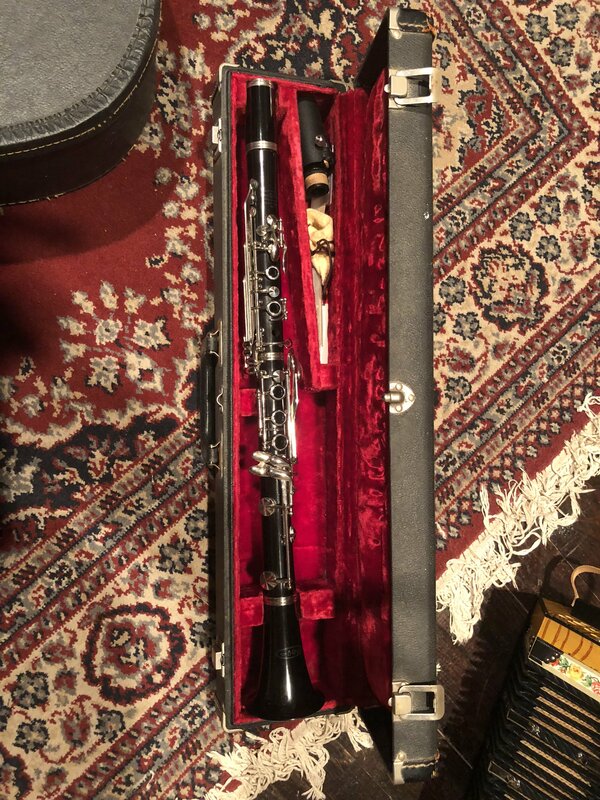 I began playing clarinet at age 11, then studied it all the way through university. After moving overseas, I began playing the diatonic harmonica. That got me into Old Time music. Now I've started playing the dulcimer, too. I started with flute in 5th grade, then switched to alto saxophone in 7th grade. Since then, I've played around with several recorders and the tin whistle. But for the last couple of years I've gotten into playing Native American Flute. Great! My oldest son (17) plays the recorder really well and messes around with a bansuri flute from India, but he keeps talking about getting another flute. Which Native American flute makers can you recommend? All 7 of my NAF's are High Spirits. Very good intonation, beautifully made and reasonably priced. I've been real happy with them. There are other good flutes out there too, but others would have to chime in about them. I'm a bass trombonist and euphonium player. The dulcimer is my first try at a stringed instrument. Thanks Strumelia :-) The bellows-pipes (aka cauld wind pipes) are an interesting animal to tame but when you got it they are really enjoyable. I had the Scottish Small Pipe chanter made specifically to fit the Scottish Border Pipes, so the volume was much reduced and the fullness of the Border drones really was evident and makes for an almost haunting tone. Bob, that's so cool! You are multi talented for sure. Hi Strumelia, I just posted a you tube video of my piping. The tune is a favorite of mine- MacPherson's Lament. I didn't....I will check it out-Thanks! Bob, I wish you'd post a clip of you playing one of your pipes! Tenor-Largest (I own) is a Wesner All three are wood and have wonderful tone quality! I play a type of bagpipes called the cauld-wind pipes; Scottish Small Pipes (a set in "D" and one in "A"). Also Scottish Border Pipes. I need to get them out more often! HeWalker, what brand are your 'serious' recorders? Can you post a photo of them here? I have a whole playlist on my itunes of medieval and renaissance recorder music. It's so beautiful to listen to! I stick with penny whistles because recorders are simply too much of a learning curve for me at this point... and I had a much easier time learning the PW. But I do think recorders sound the most heavenly. I built a Mirleton once -- the adult version of a kazoo. Also ocarina. I have a few Ocarinas....fun to play.....I sometimes take one sailing and play when there aren't any waves!!!! After reading Bill's post regarding Pennywhistle-I was curious what other wind instruments does everyone play.